Bing Shopping Campaigns offers you, our advertisers, more granularity, more flexibility and better insight into your Product Ads performance. And best of all, setting up your Bing Shopping Campaigns is easy! 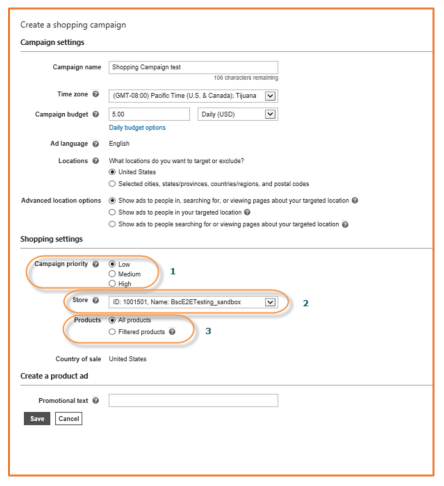 Today we will focus on setup for Shopping Campaigns in Bing Ads, or Step 4 below. If you are not familiar with the first 3 steps, you can learn more about each by following these links: Claim your domain | Set up your BMC Store | Upload a feed. If you want to take advantage of an existing feed and campaign structure across your Product Ads programs, importing campaigns from Google is the easiest and recommended option. If you are an existing Product Ad customers with a different feed format and a different campaign structure across platforms, don’t worry! Creating a Bing Shopping Campaign from scratch is easy, and we recommend you follow the process outlined below. If you are already running Product Ad campaigns, you can continue to use your existing feeds. That said, we are pleased to announce that the below are additional attributes that have been added for shopping campaigns. While not mandatory, when implemented, they can help you take full advantage of all the benefits shopping campaigns offer. 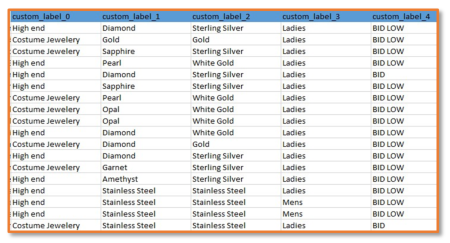 Custom Labels 0-4: You can use these values for reporting, monitoring and bidding on your shopping campaigns. 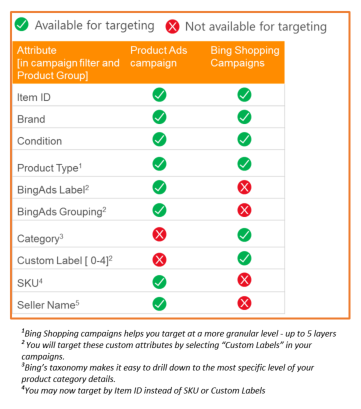 If you have been using Bing Ads Labels and Bing Ads grouping for your Product Ads campaign setup, you will need to switch over to Custom Labels in Shopping Campaigns. Bing Category/Product Category - We have updated our Bing Category taxonomy with greater detail to ensure it aligns seamlessly across all of your feed programs. There are no further changes on the feed attributes and all current attributes will continue to be supported. Take a look at this SAMPLE template to get started right away. Now that you have set up or updated your feed successfully, you are almost finished. Use the below steps to get started on Shopping Campaigns. Login into https://bingads.microsoft.com/. Click Create Campaign and select Shopping Campaigns. You will need to choose an appropriate Campaign Priority from an option of Low, Medium & High. Priority ensures that in case of product overlap the campaign with the highest priority takes precedence while serving amongst all your campaigns. This is especially helpful if you want to create campaigns around specific events like sales or promotions without changing bids across the base campaigns. For example: You are a Lawn & Garden store and have a set of Hammers that you want to promote specifically for Father’s day. Rather than changing the bid across your entire Tools campaign you have created, you would be able to create a new campaign with a separate budget and bids targeting Hammers and change the campaign priority of the new Father’s day campaign to “High”. This will ensure that the new campaign is given priority over the old for your Father’s Day Hammer promotion for your set of products. Link your campaign to the correct store. Please note that once set this is not editable, so you won’t be able to change the store association later on without deleting the campaign and starting over. 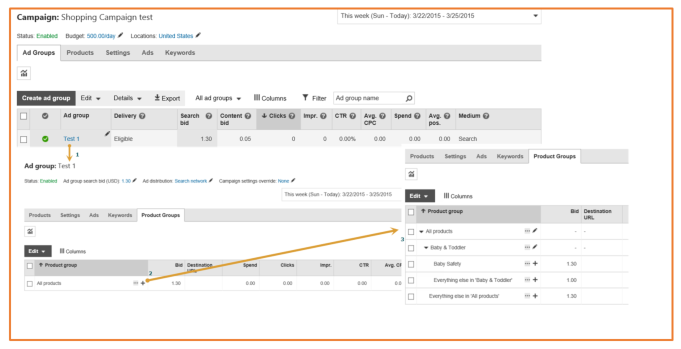 Use product filters if you only want to include a certain subset of your products in the campaign. By default all products uploaded in your Merchant Center Store will be included in the campaign. The applicable filters are different than what were on traditional PA campaign. Use the below chart for a quick reference for what’s changed. **No changes to the Campaign Targeting options. Bing Shopping Campaigns will continue to support the existing Targeting options [Device Targeting, Day time scheduling, Location targeting etc.]. After the campaign settings have been saved, it’s time to create your Product Groups. 1. Drill down from the Ad Group created. Once you do this, you will land on the Product Group for that corresponding Ad Group. 2. Click on the “+” icon to start breaking out the All Products Group into smaller, more targeted segments. 4. Set Bids appropriately for all the levels and even chose not to bid / select exclude on any filterable group and you are done! 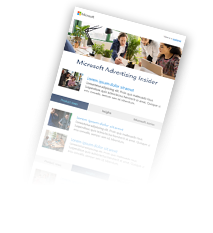 Learn more about Product Ads Here, and stay tuned for the next blog article, where I detail reporting capabilities within Bing Shopping Campaigns. As always, feel free to reach out to us on Twitter, visit the Bing Ads Feature Suggestion Forum, or email your thoughts on what to include in the next release to Bing Ads Feedback.